Welcome to Hotel Meteora at Kalampaka-Greece. 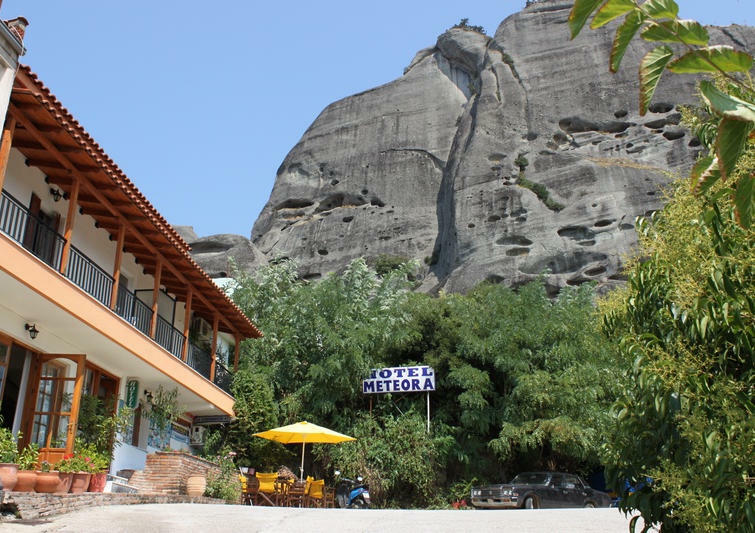 Here you can enjoy your stay just under the rocks of Meteora. The hotel is in the city of Kalampaka with a spectacular view of the city and the rocks of Meteora. Only 2 minutes from the city- center and just a few kilometers from the monasteries.